Several years ago, a friend brought the regular gluten-and-dairy version of this to a potluck. After we all ate ourselves silly, I cornered her and offered her any recipe in my collection in exchange for this one! She told me that this is a very popular dish where she comes from in the Midwest. 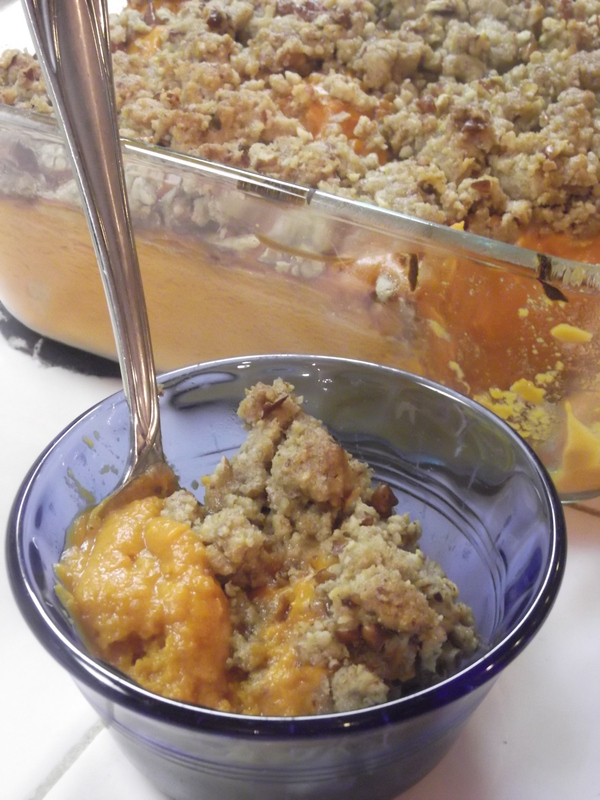 I’d never seen a crisp-topped sweet potato casserole before… but I was instantly converted. This casserole works equally well with regular wheat flour and real butter, if you’re not going GF, DF. In fact, my original recipe calls for regular wheat flour and butter; I’ve just tweaked this for my young Moose, who can’t have ‘em. 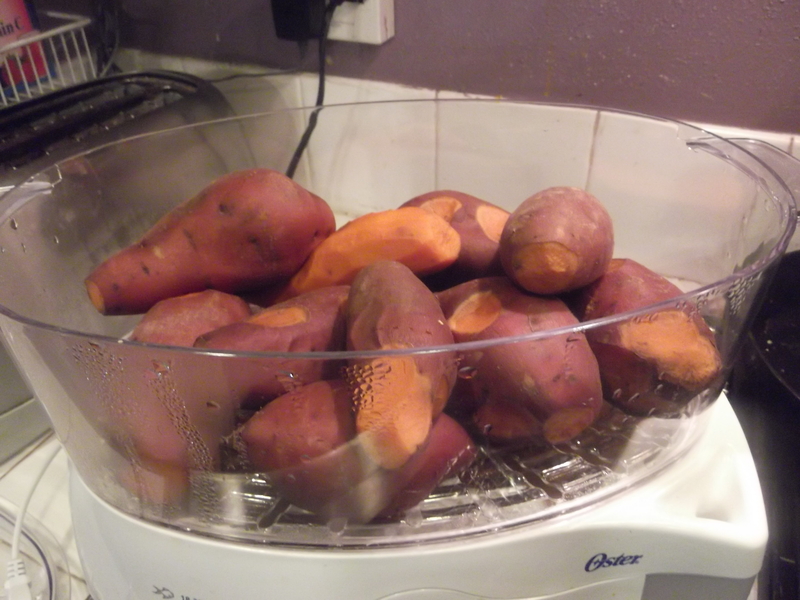 First, I start by steaming my sweet potatoes. You could bake them or boil them, but I think steaming gives them the best flavor. Next, pull off the peels. I use my kitchen gloves and do this while they’re still hot, because I have no patience to wait for them to cool off. If I were smart, I’d stick them in the fridge and let them cool down. However. I’m not exactly a fanatic for exact measurements for anything outside of candy and pastry. I have this tendency to see recipes as merely guidelines – it drives friends nuts when I say, “I’m going to make thus-and-so”, and begin by consulting a minimum of three recipes for the same dish! My recipe calls for 3 cups sweet potatoes – I just steam up whatever’s on hand. 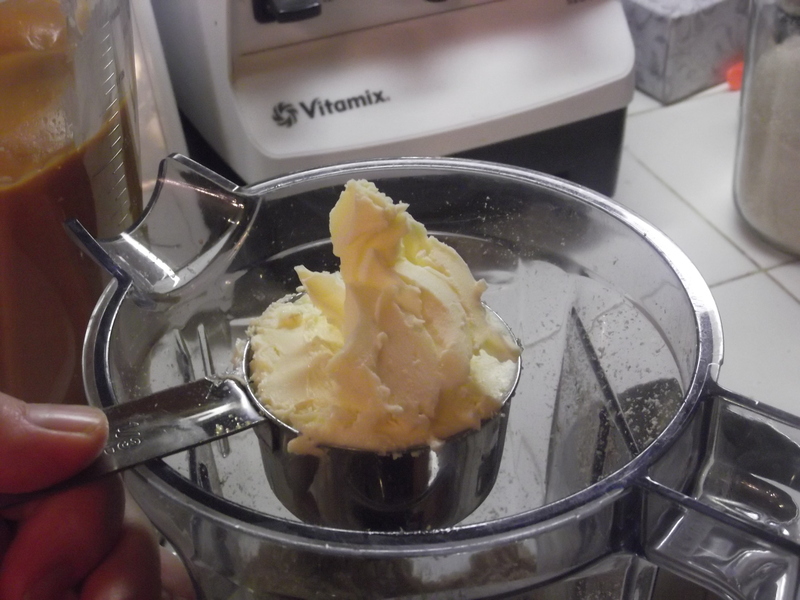 In this case, I think it was closer to four cups puree by the time I got it all in the blender. I’ve also been known to toss in an extra egg or three, when I’m really craving something custard-y. 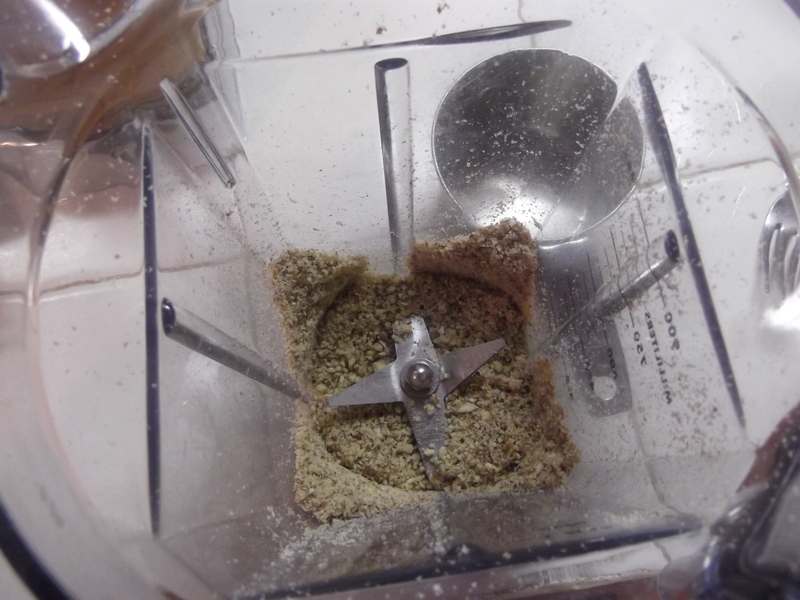 I throw all of the filling ingredients in the blender and puree till either things look very smooth or the blender throws a breaker. 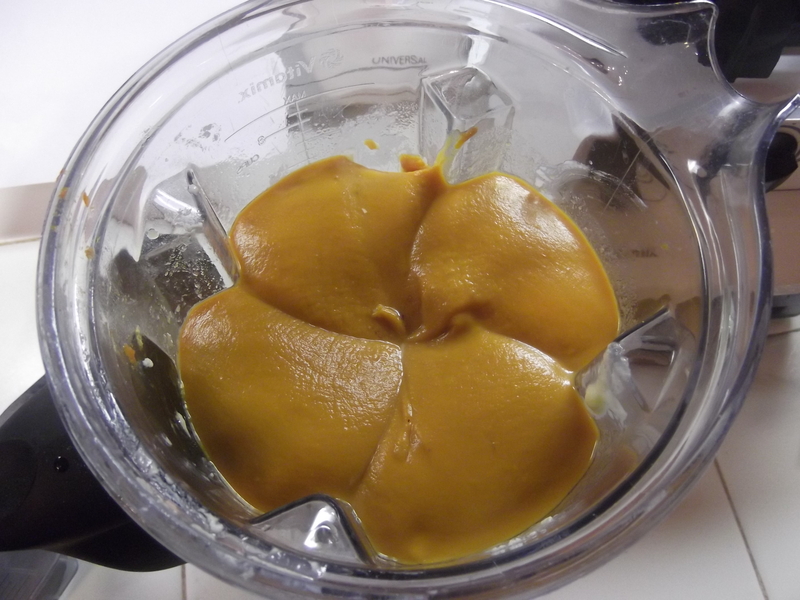 I tried doing the topping in the blender as well, but it ended up making a paste. I ground up some additional pecans and mixed those in. It didn’t seem to harm the results any. Regular butter and dairy-free Earth Balance butter seem to each do equally well in this. I added a bit extra (maybe a tablespoon or two) of the Earth Balance since it’s whipped, to make up any difference in the density of whipped vs. solid. I think I could have left well enough alone and it would have been fine. The gluten-free flour can tend to taste a teensy bit raw; I’m planning to toast it in a dry skillet next time. Mr. Caffeinated suggested using oat flour, since many crisp toppings use oats. Top the casserole and bake at 350° for 30 minutes. *UPDATED 11/18/2012* – new and improved, with all the latest tweaks! Sweet Potato Casserole, with GF, DF tweaks. Blend or beat together and pour into deep dish casserole. 9×13 works fine. Mix together sugar, flour and cut in butter well. Add nuts. Sprinkle over potato mixture. Bake: 350° for 30-35 min. This entry was posted in Allergy-Friendly, Comfort Food, Desserts, Side dishes, Uncategorized and tagged Allergen Free, Allergen Friendly, crisp, Dairy Free, dairy free sweet potato casserole, DF, DF sweet potato, GF, GF sweet potato, Gluten Free, gluten free sweet potato casserole, pecan topping, Potluck, side dishes, sweet potato, sweet potato casserole, sweet potatoes. Bookmark the permalink. Ah, your brain is wired to mine today … This morning Jess said, “We need to use up these sweet potatoes!” and I determined to e-mail you and ask for this recipe …. I love the convenience of blogs!! !